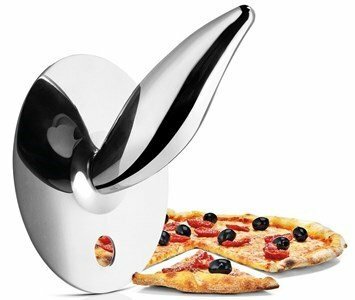 A pizza cutter with the traditional wheel with a design of excellence and elegance. A traditionally common piece with the particularity of being able to be hung on your kitchen for easy storage. Cuts the pizza evenly from top to bottom, slice to slice! In stainless steel and ergonomic, it fits any hand, whether right or left handed. One more piece of simple and always beautiful design to use in your daily life.